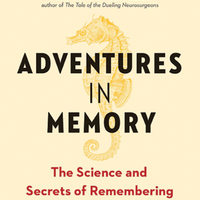 In the introduction to the book, its editors lay out the case for taking a serious, and mechanistic, look at how visiting natural places for pleasure affects ecology and animal behavior. SPRINGER, 2017This is a book that desires to improve the positive impacts of ecotourism and nature-based tourism by properly identifying potential biological impacts so as to help develop effective mitigations and management. We focus mostly on impacts on wildlife. We, the editors, are avid eco- and nature-based tourists. We travel to natural areas to appreciate their wonder. We watch animals, botanize, and enjoy beautiful natural landscapes. We also recreate (bike, hike, climb, surf, ski, snorkel, and dive) in natural areas around the world. Professionally, we are behavioral biologists who study the natural behavior of animals to reveal general trends and understand behavioral diversity. We study animals in the wilderness and in areas with eco- and nature- based tourists. We recreate in the places that we work and we care deeply about managing negative consequences of recreation in these and other places. We also appreciate the value of natural areas in urban places and study the effects of urbanization on wildlife in our ever-urbanizing world. Nature-based tourism is huge. Globally, a recent study suggested that there are over eight billion visitors per year to terrestrial natural areas. Stated bluntly: more people visit natural areas than there are people on Earth! Alarmingly, this estimate does not include small reserves so the real extent of people interacting with wildlife and recreating in natural areas is even larger. Such high visitor numbers cannot occur without creating ecological impacts. Thus, given the tremendous potential impact of human visitation on natural areas, what can be done to reduce or manage impacts while enjoying the potential economic and conservation benefits of eco- and nature-based tourism? There has been much written on managing wildlife-, eco-, and nature-based tourism, and we refer all to the outstanding volume, Natural Area Tourism: Ecology, Impacts and Management, now in its second edition. Newsome et al. wonderfully review the scope of natural area tourism and discuss ways of identifying and managing impacts. It is an authoritative and comprehensive volume. It contains overviews of the sorts of impacts that natural area tourists create and strategies to minimize them. 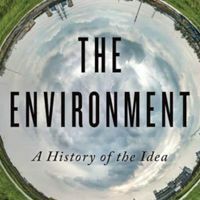 There are of course a number of textbooks that discuss, in part, impacts of ecotourists, and Buckley outlined a number of environmental impacts of ecotourism. In addition, Ballantyne and Packer’s International Handbook on Ecotourism is another volume that addresses many challenges associated with ecotourism, which begins with its definition. Indeed, the first 20 percent of Ballantyne and Packer’s book is dedicated to discussing the definition of ecotourism! We, however, follow Buckley in being necessarily vague: ecotourism includes the intention to minimize impacts in a nature-based setting, where ecotourists learn about nature and may contribute to conservation and there may be benefits to the local community. Given these wonderful books, why is another book on impacts of ecotourism warranted? We believe that we, as well as many of the chapter authors, bring a unique animal behavior-centered approach to potential impacts of eco- and nature-based tourism. Changes in behavior are usually the first reaction of animals to environmental challenges, and ecotourism can be viewed as an environmental challenge. This behavioral perspective focuses on mechanisms of how animals respond to threats and challenges. A mechanistic approach is essential if we are to develop better tools to manage impacts. However, since ecotourism is expected to benefit humans as well, we have a separate chapter that discusses the implications of ecotourism to local community and to visitors. A conflict between what is good for nature and the societal benefits that may emerge from ecotourism is more or less expected given the desire to both reduce impacts on nature while benefiting people and promoting conservation. We will focus, primarily, on impacts on animals; the variety of impacts of ecotourism on vegetation are not our primary focus. In fact, our animal-centered focus is timely since nowadays scientists are concerned with the under-recognized effects of defaunation—the loss of animal species—on ecosystem health. But we also recognize that in many places, eco- tourism provides a vital role in community development and indeed in preserving biodiversity. On a recent trip to the Galápagos, Dan had a long and fascinating discussion with a local guide about the disconnect (as he perceived it) between what’s good for nature and what’s good for the local people. 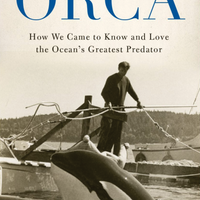 In a place where he said that 80 percent of the jobs are tied to tourism, his concerns about the constraints on residents (and he was a multigenerational resident of Isabella) illustrate the constant tension that may exist in many places between wildlife and development, between conservation and preservation, and between animal and human welfare. 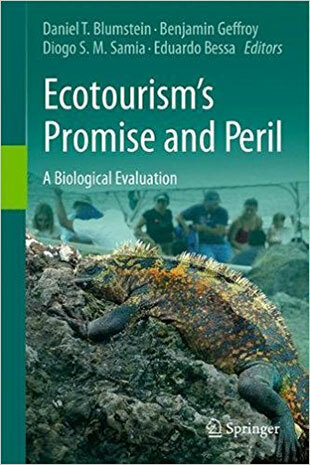 Excerpted from Ecotourism’s Promise and Peril: A Biological Evaluation, edited by Daniel T. Blumstein, Benjamin Geffroy, Diogo S. M. Samia, and Eduardo Bessa. © Springer International Publishing AG, 2017. Reprinted with kind permission of Springer International Publishing AG. 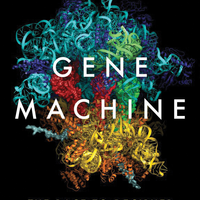 Read an original essay from the book's editors.